The ferry services connecting Hainan Island to the mainland across the Qiongzhou Strait has been suspended since 9:00pm on 22nd Feb due to the dense fog in recent day, according to Haikou Maritime Bureau. 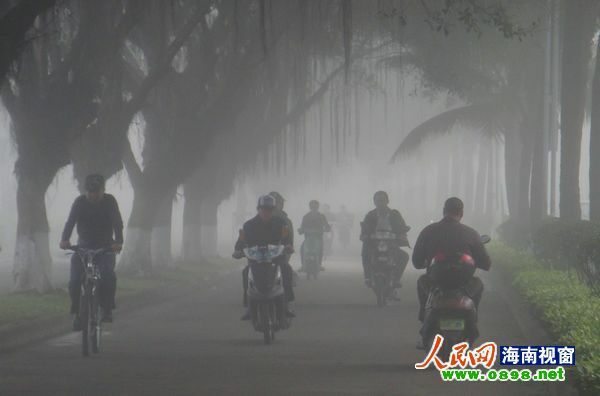 At 6:25am on 23th Feb, the Haikou Meteorological Centre issued an orange fog alert as visibility dropped to less than 200 meters in many parts of the city. However, the Haikou Meilan International Airport, less affected by the fog, has resumed flights as the visibility restored to over 1,000 meters. Affected by dense fog on 22nd, the airport cancelled 36 flights, and 32 flights delayed more than 4 hours.